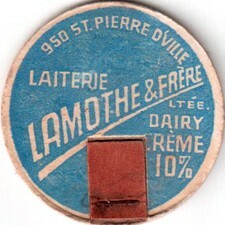 "Lamothe & Frères dairy" was founded by Léonidas Lamothe which istablished a first route in 1913. 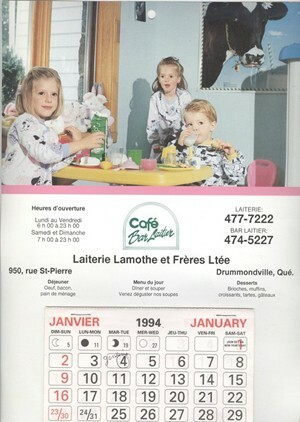 His milk was sold to the population of Drummondville, especially to a growing number of customers on rural routr no.4 known today as Blvd. Lemire. The arrival of a new chemical plant, "Aetna Chimical", in 1916, brought in a great number of new customers and it became necessary to expand the dairy. 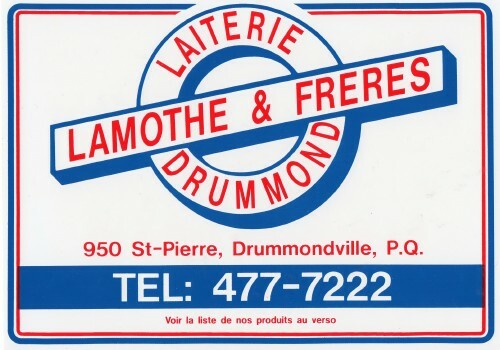 With the help of his brothers, Armand and Siméon, Léonidas Lamothe's dairy, situated at that time at the corner of St-Denis and Blvd. 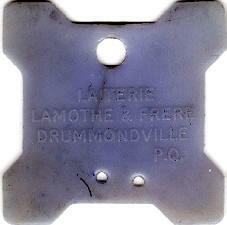 Lemire, acquired an exceptional growth. 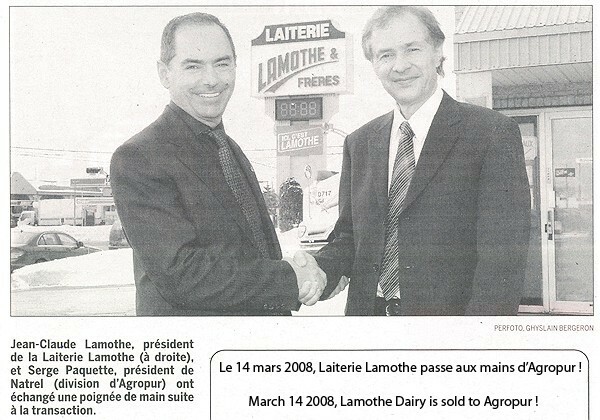 Afrer he acquired his brothers shares, Mr. Lamothe gave the oppertunity to his sons, Marcel and Laurent, to manage the family business. 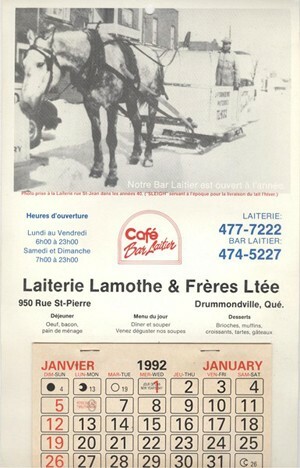 Today the "Laiterie Lamothe & Frères" is the only remaining dairy in the area, to say that at one time there was more then fifthteen other dairies in operation. Every month, there is approximatily one purchase offer received by the management. 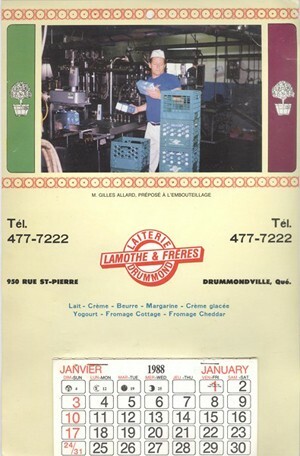 The dairy of the Lamothe family exists since 1913 and since its foundation, this company does not cease evolving. Today, the fourth generation continues with dynamism the work of its predecessors. Artisanal at its beginnings, it became modern and prosperous. 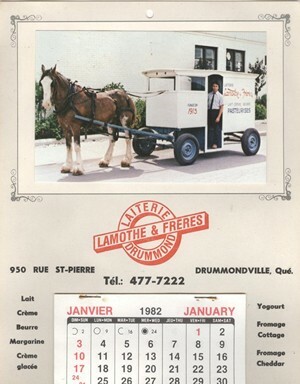 The Lamothe Dairy was born from a family passion for the dairy products and to make the account of its evolution, it is to discover a small regional dairy with the traditional values, but always with the mounting of the new tendencies. 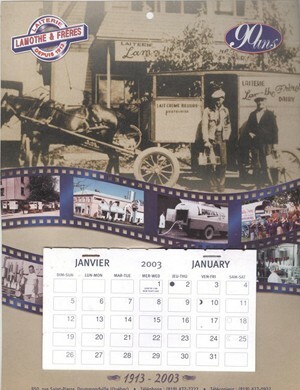 For 87 years that its history takes shape and with the dynamism of the grandsons of the founder Hilaire Lamothe, the arrival of the third millenium predicts of a flourishing future. 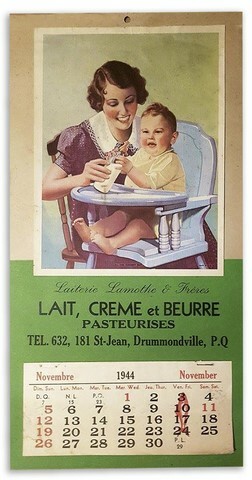 In 1913, a farmer and his wife, Hilaire Lamothe and Emma Dumaine, supported by their four sons, Léonidas, Siméon, Aimé and Armand, built, with the sweat of their face, a very small artisanal dairy. 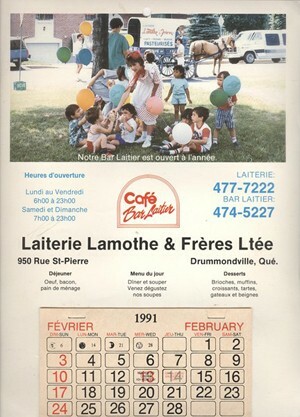 Located at the accesses of the fourth rank of the charming locality of Grantham, near Drummondville, it will have been one of the first dairies of its area. 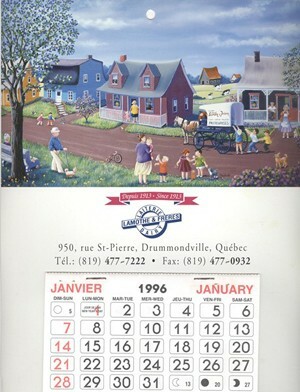 Quebec of the beginning of the century was worked by the farmers. 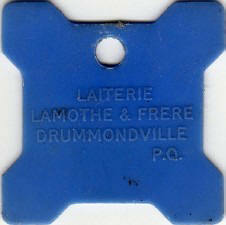 Thus, almost all the inhabitants of the area drummondvilloise worked the ground and had a livestock. However, little of them had the means of treating to a system of pasteurization, which would have enabled them to sell their dairy production. Gradually, the government put into force laws, like the pasteurization of milk and Mr. Richard Lamothe tells that it is there, that its grandfathers and his grandfather had bought a system of pasteurization. The other farmers who could not do that, brought their milk to make it pasteurize, in my grandfather says it. 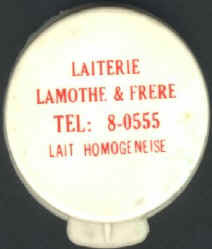 With the years, other requirements, the homogenisation of milk, seemed. 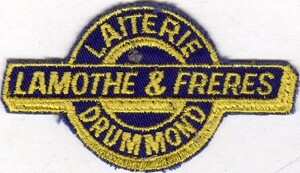 The Lamothe family then made the acquisition of the machines necessary to the realization of these new operations and could thus increase her output in a considerable way. 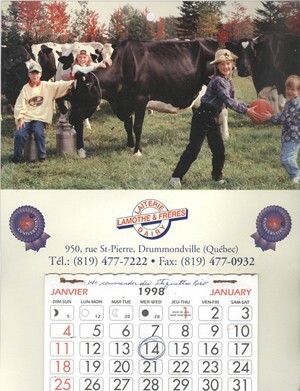 Therefore, with the era of pasteurization and the mechanized congestion, a new dairy was set up in 1934. 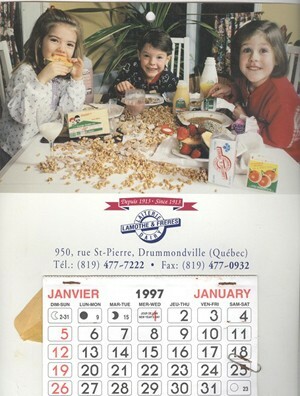 At that time, the Dairy counted seven employees. 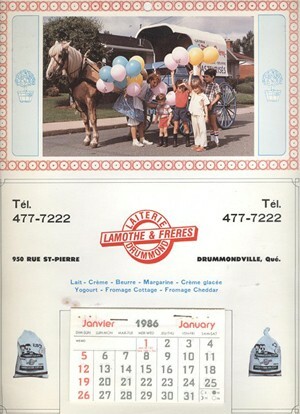 In 1949, the wire of Léonidas, Marcel and Laurent, took in hand the family factory. The latter had become Masters in the field of the dairy products. 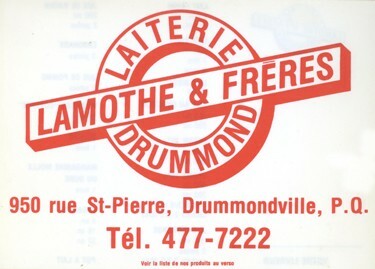 The change of direction will have been a point turning in the history of this SME Indeed, the significant progression of the Lamothe Dairy obliged the two men to move their installations street Saint-Pierre, in Drummondville. 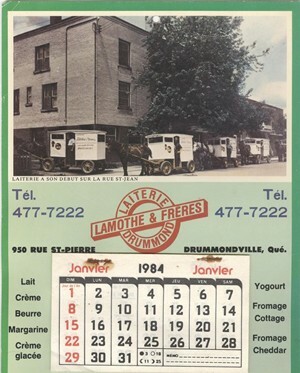 Here are now 37 years that it occupies the same building, which sheltered the Dairy of the producers formerly. 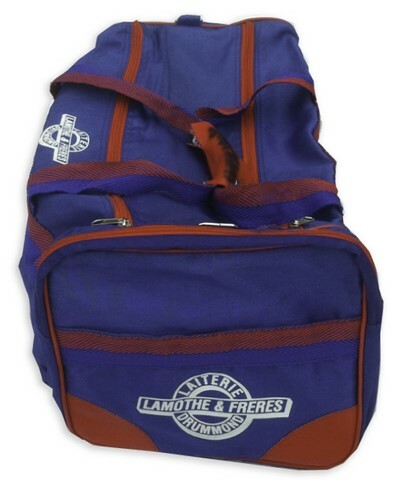 In 1974, a new generation, animated of a feeling of pride and a desire to continue the work undertaken by their predecessors, acquired the shares of Laurent. 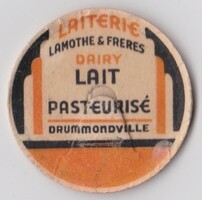 A few years later, it acquired of the Drummond Dairy, which increased its customers substantially. Still today, the wire of Marcel, Claude, Richard and André, hold in their hands the destiny of this family SME. 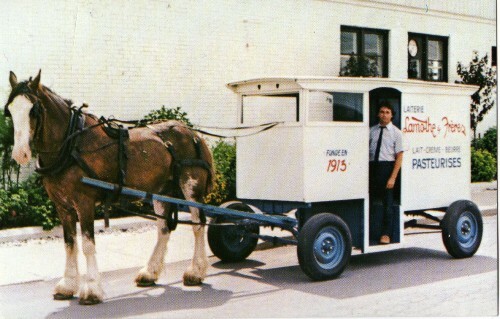 One can thus say that today, the old artisanal dairy of Hilaire and Emma became a modern company which employs more than 80 people. It will have adapted to the urban development and the new economic and social situations. 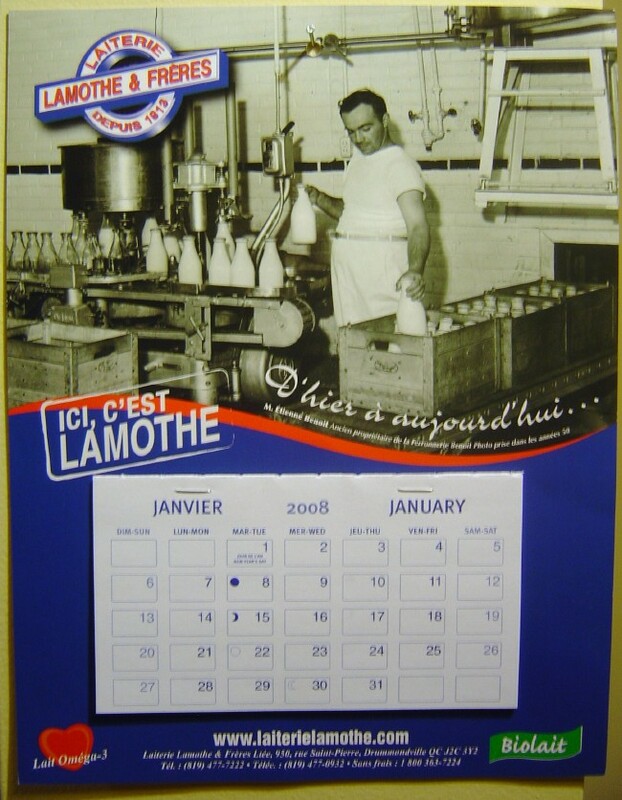 For the small Lamothe Dairy of the beginning of the century, the history made its work, but the tradition remains. The traditional side of the company does not prevent it however from evolving. 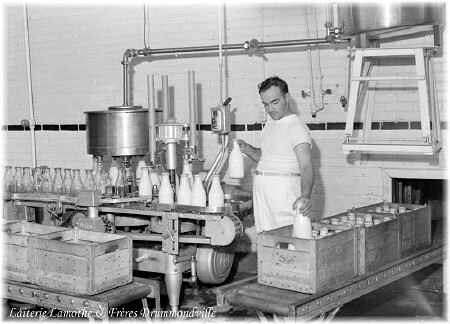 Passing from the milk pot out of glass with the container out of glazed board, the Lamothe Dairy innovates continuously. 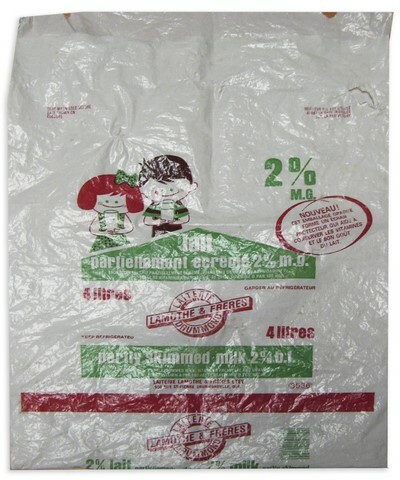 These last years, it marketed a plastic bottle opaque and which can be recycled. 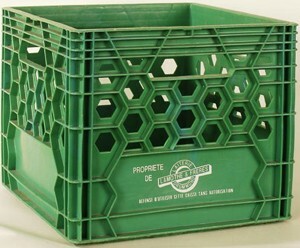 This container eliminates the many disadvantages from the cartons. Indeed, the escapes of liquid are rare, because there are no more these joints which threaten to yield to the least shock. 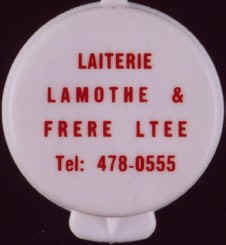 Moreover, the stopper allows a better conservation of the contents, because the bottle is not constantly any more open. 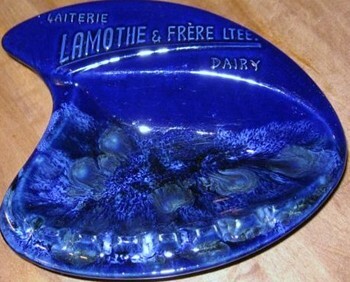 First to leave this product in the Center Quebec and the Cantons of the East, the Dairy saw its sales increasing. It receives also a crowd of positive comments on behalf of her customers. For example, the amateurs of camp-site, hunting or pedestrian excursion appreciate the fact that the bottle has a cap making it hermetic. Moreover, the handle makes it possible to carry its daily source of calcium in a way much more pleasant. Obviously, such a change causes the purchase of new machines just as the refitting of space. If one speaks about paperboard, to pile up 10 000 of them, that did not take much place, but to put 10 000 jugs, 10 000 plastic containers (one speaks about two liters), that takes much space when they all are formed. 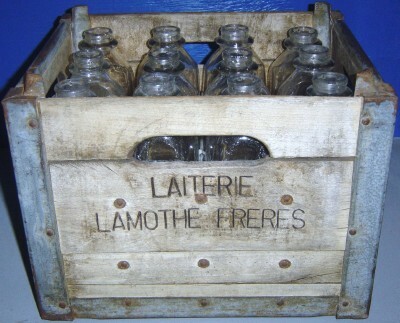 At its beginnings, only the unskimmed milk and butter were available. The percentages of fat only appeared later. 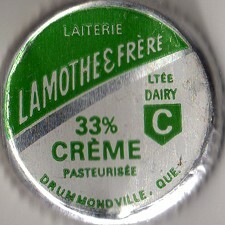 With the years, the number of derived from milk became extensive. 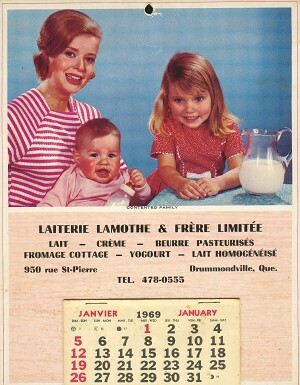 Today, the line of goods is diversified: milk, cream-coloured, butter, cheese, dairy ice cream - And one should not especially forget very popular milk with the chocolate. 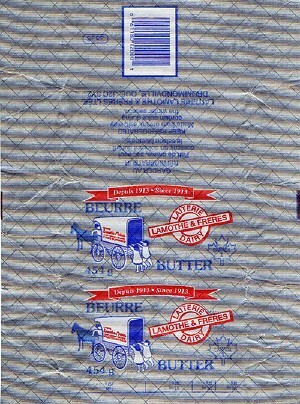 One manufactures also the "crémettes " and the small butter squares which one finds in the restaurants. 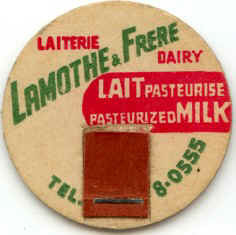 An average advertising executive, extremely amusing and private individual with the Lamothe Dairy. 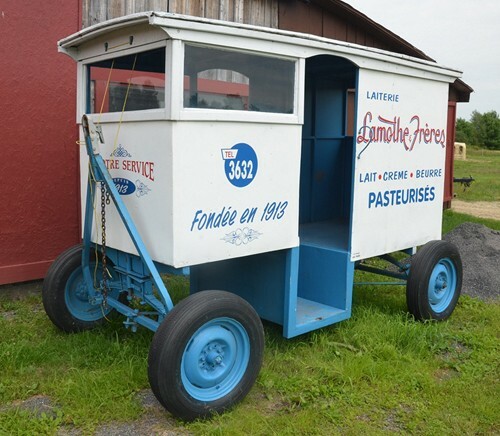 The company decided to make known its traditional side thanks to its milk car, which will walk in various districts of the municipality. Led by a coachman and his horse, the barouche is an exact counterpart of that used by the slags of the beginning of the century. It besides was completely restored by the owners, who have in heart their history. 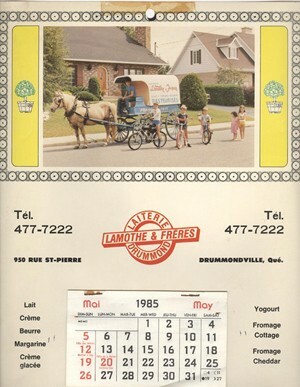 This milk car has been used for approximately ten years in the streets of Drummondville to make the promotion of the Lamothe Dairy near the population. It makes the joy of small and large everywhere where it passes. 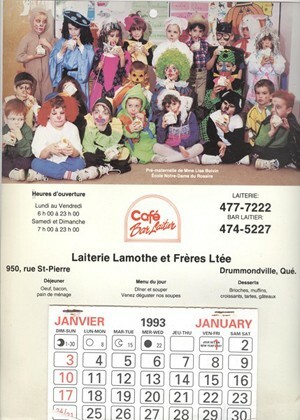 Mr. Lamothe is convinced that this advertising method creates solid and direct bonds with the consumers. 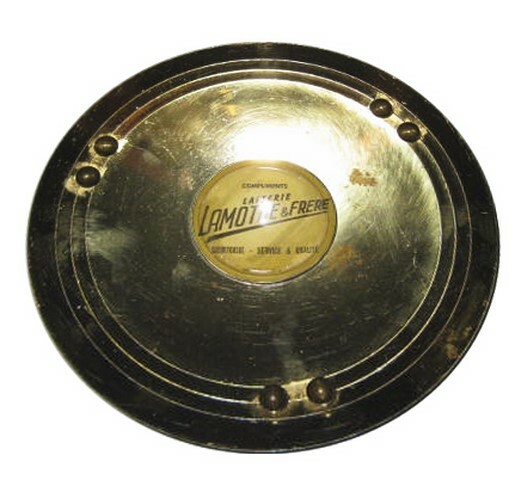 It is a good means to show itself known as Mr. Lamothe. In fact, it is exactly what occurred several years ago. There are many people who saw that, and that points out beautiful memories to them. The children are likely also to see how that occurred in this time. As this SME is not to sell and that it does not make a point of being made swallow by the large dairies, it refuses all the offers of purchase. Then, the giants, like Natrel and Agropur, try to come to notch a share of its market and its territory. 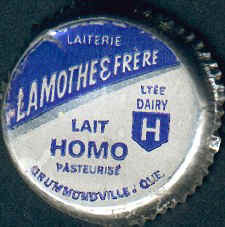 The small dairy company thus decided to defend its perimeter with its manner and to even try to widen it. Its advantageous geographical situation enables him to serve cities like Sherbrooke, Magog, Coaticook, Rock Forest, Victoriaville, Montreal and Quebec. 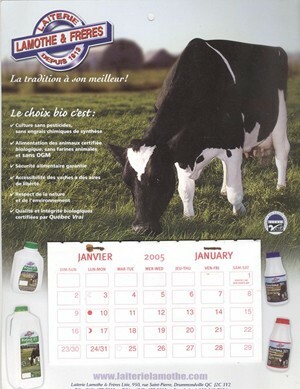 The Dairy already received an order of dairy products of Harbour-Saint-Pierre! 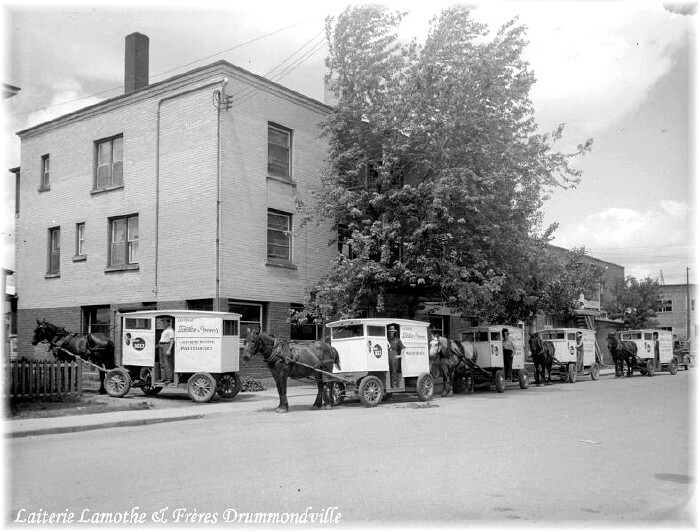 From passage in the area to get foodstuffs, Cayens (name given by Mr. Lamothe to the inhabitants of Harbour-Saint-Pierre) benefitted from it to fill their truck with dairy products drummondvillois. 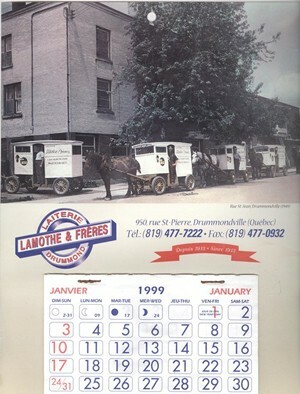 The arrival of the 21e century does not frighten people of Lamothe Dairy. Far from there! 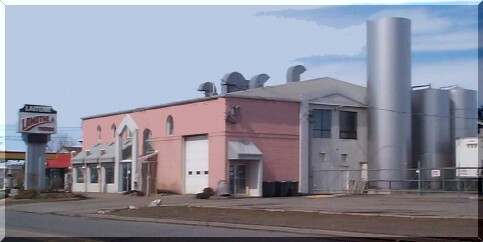 Although its capacity of expansion is restricted, this company wishes to continue on its impetus. 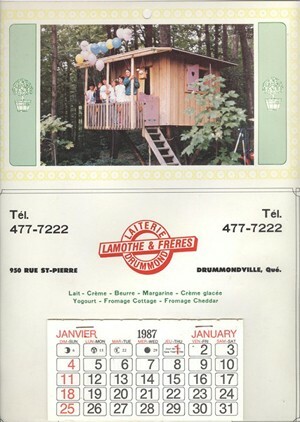 All the possibilities are offered to the back - grandsons of Hilaire Lamothe. Besides the Dairy envisages to adapt to this new information technology which is Internet. End of the fingers, the commercial customers will be able then to order the desired products and to know its various services. 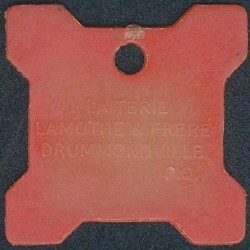 The Lamothe brothers cannot allow themselves not to take this technological turn, which is an excellent means of promotion. Like it knew to do it with its plastic bottles, this regional company conforms to the new fashions, for the new tendencies "It is necessary to follow. If one does not follow, it is as if one moved back. 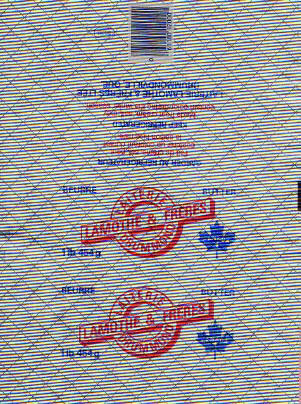 It is necessary to be put at the page ", confirms Mr. Richard Lamothe. 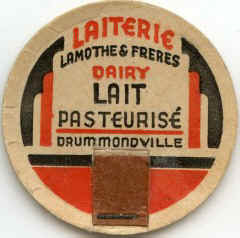 In order to achieve the laid down goals, the small dairy drummondvilloise must continue to work with heat. Here are what the force of the traditions and the family values gives for result: a proud company of its roots and lends to innovate to become and remain the first in the heart of its customers. Source : Summary text of Jaime Roussel.